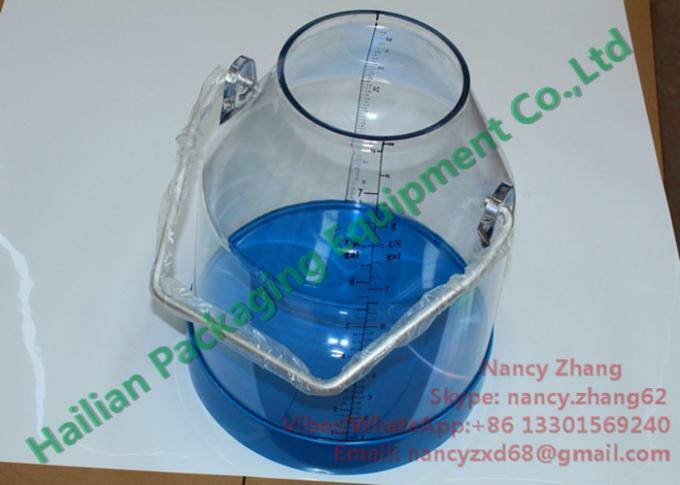 The clear milk bucket / milk pail is made of poly carbonate material, this plastic milk bucket usually been used to collect, storage and measure milk, juice, beer, Sprite, Coco-cola and other water or beverage. 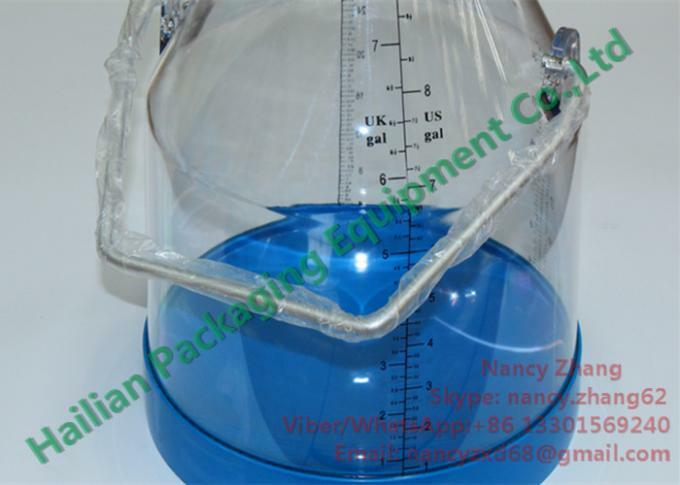 The most important feature of this clear milk bucket / milk pail is that there is the double Scale on the bucket body, with 2 ways: kilogram and gallon, so it could observe liquid in the clear bucket directly. 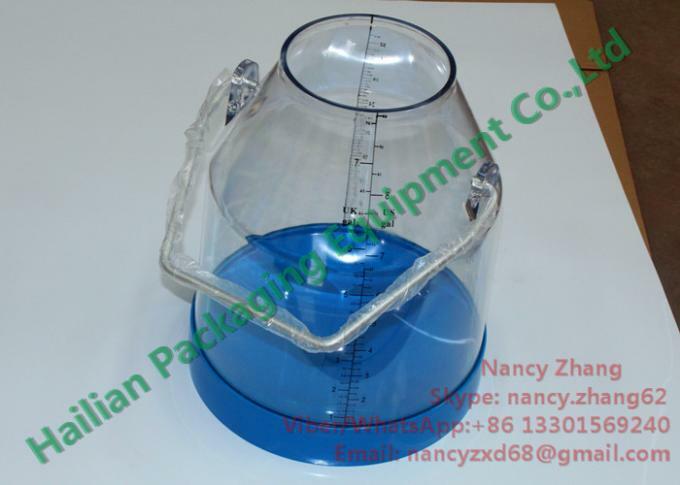 This kind of clear milk bucket / milk pail is one of the most important milking component for the milking machine. Two capacity for choosing: 25 Liter and 32 Liter. 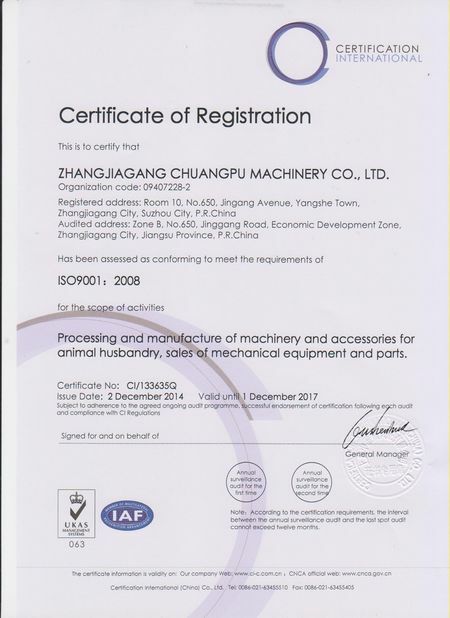 It is equipped with bucket cover and rubber gasket, which could help to connect the milk tube and pulse tube. 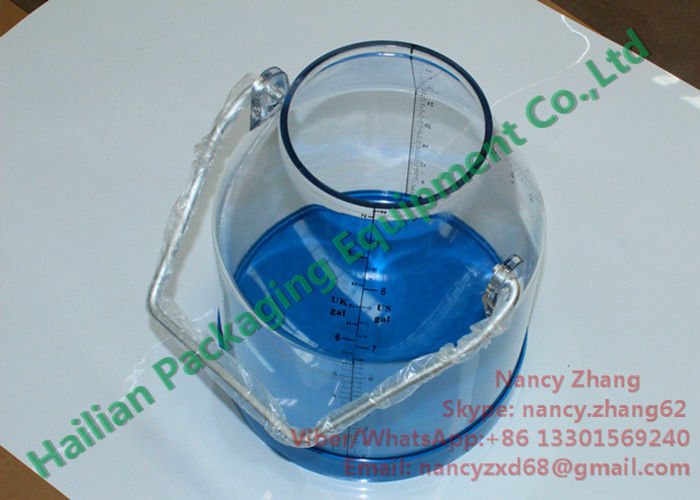 The clear milk bucket / milk pail has sufficient thickness, keeping with a long service life; and the joint of the bucket handle is enough strength, not easy to broken. 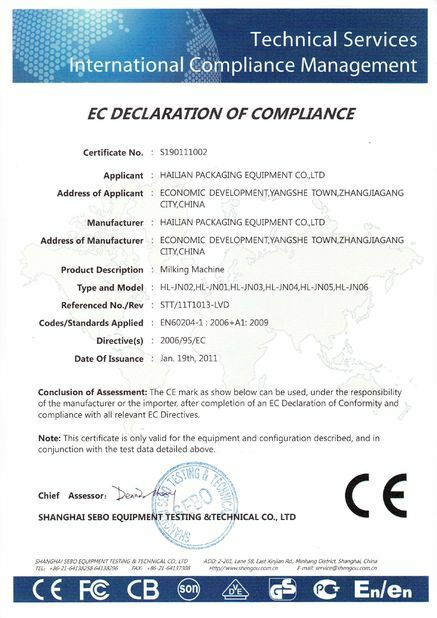 Been approved by SGS certificate, it is a kind of food grade clear plastic bucket. The clear milk bucket / milk pail also named transparent bucket, plastic milk bucket, clear milk bucket, transparent plastic milk pail bucket, milk pail, milk bucket, clear bucket, milking machine bucket, transparent milking bucket, transparent milk barrel, plastic milk barrel etc. This clear milk bucket / milk pail usually been used to collect and measure milk, juice, beer, Sprite, Coco-cola and other water or beverage.